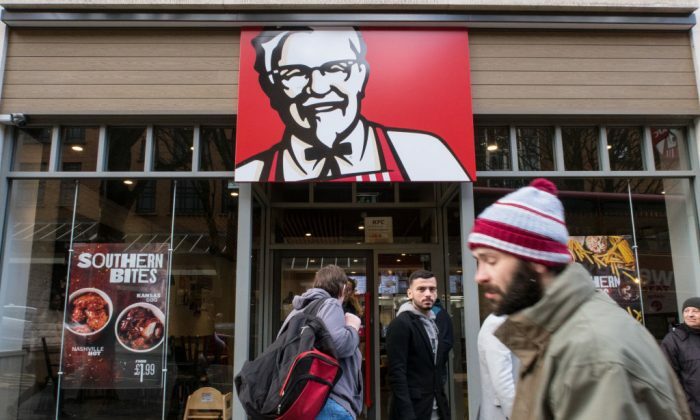 In a bizarre game of PR one-upmanship, Burger King and KFC have both promised a year’s supply of chicken to the British woman whose complaints about KFC’s recent chicken crisis went viral. 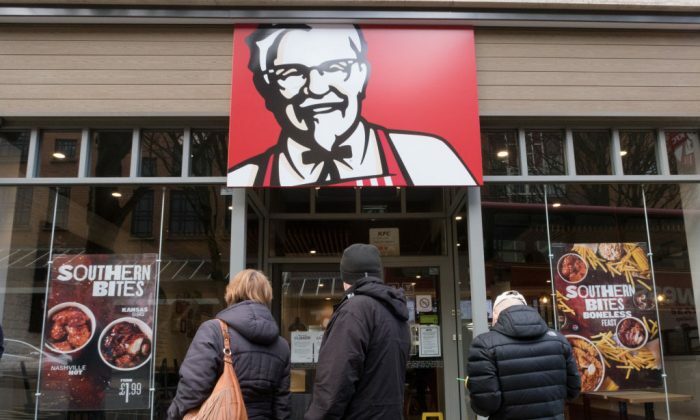 Following the closure of 700 of 900 KFC stores last week, the clip of the unnamed woman complaining on a national television news programme stirred interest and amusement around the world. “I’ve ‘ad to go to Burger King,” she said in the ITV news clip on Feb. 20, after explaining she couldn’t find any KFC stores open. On their official UK Twitter account, KFC later offered to make it a reality. “The horror. We would like to locate this lady. We have one Ricebox left at Head Office and it has her name on it,” they wrote on Feb. 21. But a few hours later Burger King had stepped in with a rival offer. “We’ll raise your leftover Ricebox with a year’s supply of fresh King Boxes! Someone put us in touch with her,” Burger King wrote on Twitter. Less than 20 minutes later, the Colonel’s social media account had matched the new bid. 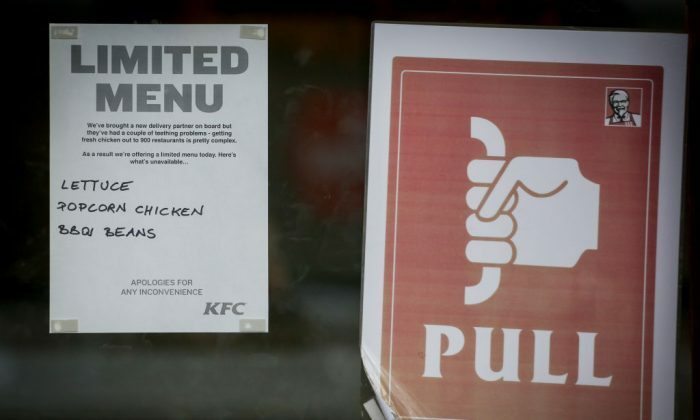 After KFC ran out of chicken and closed more than half of its 900 restaurants across the United Kingdom, a London police department asked people not to report the gastronomical inconvenience as an emergency worthy of police attention. “Please do not contact us about the #KFCCrisis,” tweeted the Metropolitan Police Service for the London East End Borough of Tower Hamlets, using the popular hashtag. KFC has recently switched its delivery company, Bidvest, for DHL and German group QSL. So far the change hasn’t gone smoothly. “If you were one of KFC’s 750 franchisees you could order your replacement chicken and other supplies and usually within about 24 hours a lorry from Bidvest would appear outside your store with what you needed. The stores were used to that kind of just-in-time ordering, and that’s what’s caught them out,” said technology analyst Chris Green, according to the Guardian.